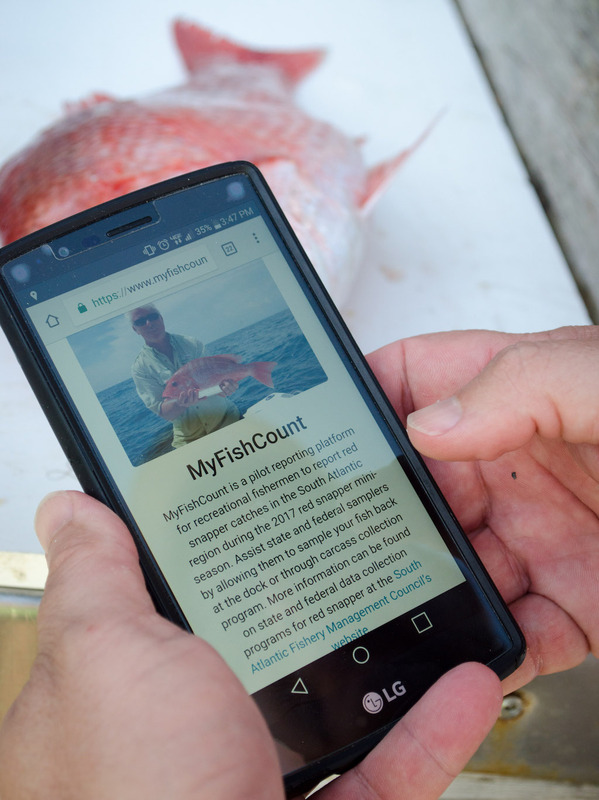 MyFishCount is a pilot reporting project for recreational anglers to voluntarily report their catch through the MyFishCount website or smartphone app! After hearing the requests of fishermen across the region, the South Atlantic Fishery Management Council, in partnership with the Snook and Gamefish Foundation, created MyFishCount. Anglers can use the mobile app or website to log information about trips and catches to help improve data used to manage our fisheries. MyFishCount is a tool that allows anglers to review past logged trips and catches. Since MyFishCount records information about time, location, and other details about the catch, anglers can use this information to discover trends or patterns from good and bad fishing days. More information about the project can be found on the South Atlantic Fishery Management Council’s website. Start logging your catch today! The new mobile apps of MyFishCount are now available! This is a mobile site and cannot be accessed if a user is not in cellular range. Please save or print this page or use the mobile apps to allow you to collect information on the water. MyFishCount allows you to create trips from the website or from the mobile app available for Android and iPhone. The mobile app will be available in June 2018. You can specify the area you are departing from, your method of fishing, details of your trip and more. Once a trip is created, you can report for a variety of species. You can add details about your catch including location, length, weight, and release condition of the fish. These data are included as part of your trip and available for your reference at any time. You can view past trips in one central location. The data can be downloaded as a CSV to allow for convenient storage on your computer. The South Atlantic Fishery Management Council is one of eight regional fishery management councils established by the Magnuson-Stevens Fishery Conservation and Management Act of 1976. 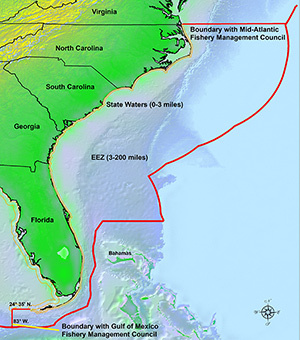 Headquartered in Charleston, S.C., the Council is responsible for developing and revising fishery management plans in order to manage fish stocks in federal waters, 3-200 nautical miles offshore, off the coast of North Carolina, South Carolina, Georgia, east Florida to Key West.